Borno State Government on Wednesday confirmed 14 persons dead following an outbreak of cholera. The state commissioner for health Haruna Mshelia made the disclosure during a press conference in Maiduguri. Mshelia said the death of the persons is suspected to be from Acute Watery Diarrhoea (AWD) in the state. He said a total of 250 acute watery diarrhoea cases had been treated so far. “Like I said last time, we sent samples to the National Laboratory in Abuja. I can officially confirm that there are eight positive cholera outbreaks in some areas in the state,” Mshelia said. Last week, over a thousand persons were reported to be suffering from acute watery diarrhoea, which government it was trying to curb. Prior to this, the government last month said there has been no case of a cholera in the state. 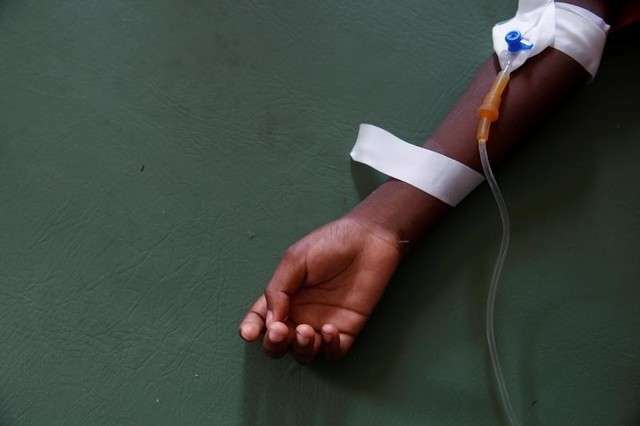 It will be recalled that Mshelia, who addressed a press conference on the cholera epidemic in the state, said all measures have been put in place to ensure there was no outbreak of the disease. Then, He recalled that there were 61 deaths as a result of a cholera outbreak in the state in 2017, expressing delight that there has not been any clinically proven cholera outbreak in the year 2018. He said though there have been 1068 cases of Acute Watery Diarrhoea recorded in ten local government areas of the state since the commencement of the rainy season in May till date, the situation has not degenerated to cholera. “We prepare every time for this, we train officials for rapid response, there is rapid response team. We have them at the local government level and at the state level; those at the state are more technically competent,” Mshelia.